Satellite pictures of the planet are expensive. Keeping the pictures up-to-date poses security problems also beside the costs involved. I cycled into International Business Park in Jurong East on an exploratory ride. The single storey Atrium where the peasants working in the Biz Park have lunch was demolished. Now it is a vacant land. Is easy to guess the fate of the land given the $$-eyed govt. Online streetdirectory & Google Map still show Atrium standing. 6 months is a conservative figure, i reckon could be around 1 year outdated or possibly more. Road cutting through forest is completed. You can see faint dirt road cutting through. Poor forest - you can bet more trees, squirrels etc dying to make way for development else why the heck the greedy Pro Alien Party build a road in the middle of a forest? Before demolishing Atrium where peasants lunch, the govt built office building ICON with food court which is a building that is twice bigger than neighouring buildings in the Biz Park. 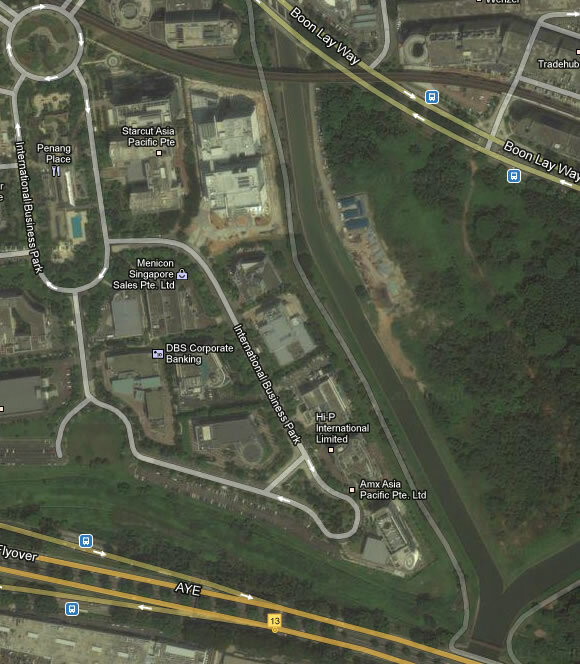 It is not just Google Map outdated by at least 6 months in S'pore. When i joined a group ride to Legoland in Johor, Msia late last year via the newly opened Iskandar Coastal Highway, i couldn't find the highway when mapping the ride.